Does your family have a tradition of giving an early Christmas present? Maybe it’s on Christmas Eve in anticipation of Santa’s coming? Our family does have an early gift tradition, but this year I received one even earlier than I could have imagined. It was delivered to me about two and a half weeks ago on the TCU campus in Fort Worth. It wasn’t a traditional Christmas gift that you might expect, but nonetheless, it was priceless. It was even delivered straight from a workshop; an educational one. You see, on the TCU campus exists a very valuable treasure chest to those of us who work in the newspaper industry. It’s called the Texas Center for Community Journalism. 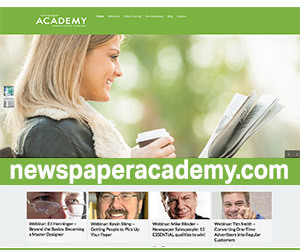 TCCJ offers learning opportunities to newspapers throughout the state. It is one of only three centers of its kind in the United States. The center is run by Tommy Thomason. Tommy is the ‘man’ when it comes to community journalism in Texas. He’s currently a professor on staff at TCU and the former dean of the Bob Schieffer College of Communication which includes the school’s journalism program. Tommy, like Santa, is a master of his craft, someone you look forward to visiting, always in a good mood and very reliable. In my opinion, Tommy runs the TCCJ for you, the reader. We in the newspaper industry just happen to be the conduit, taking what we learn in workshops and shaping our products to better serve you. The gift was a survey shared by our guest speaker, a news guru named Kevin Slimp (kevinslimp.com). Part of the survey explained that most of the newspapers in North America are similar to the one you are reading. Independent, smaller newspapers or groups. They are not large dailies which are singular, or part of a larger corporation. However, when it comes to what you hear about the state of newspapers in North America, the message many times comes down from the larger newspapers.